Lee College administrators, Nursing Program faculty and nursing students gather in the new lecture hall inside the McNulty-Haddick Nursing Complex Expansion during a ribbon cutting and open house held Tuesday, Oct. 24, 2017. The expansion project was funded through a bond approved by voters in 2013 and focused on meeting student and faculty needs, including new classrooms and a new student lounge and computer area. 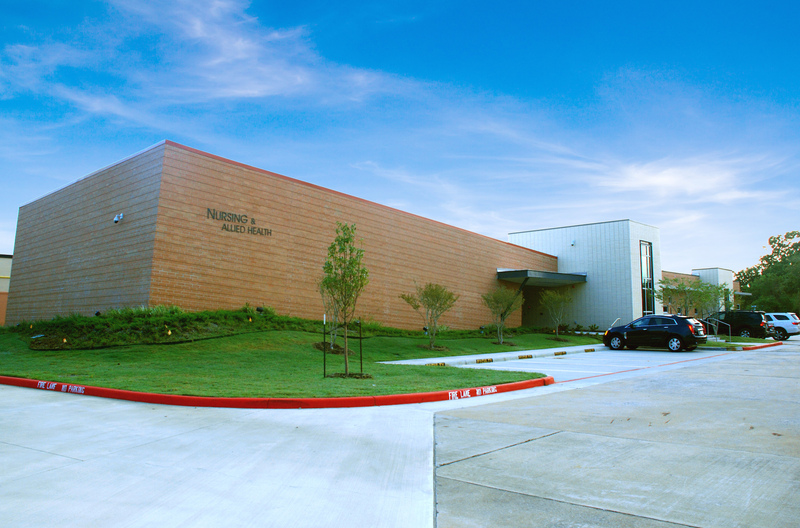 BAYTOWN, TX — Students in the Lee College Nursing Program now have a renovated and revamped facility on campus to train and prepare for rewarding careers on the front lines of patient-centered health care – complete with new spaces to learn and practice critical professional skills, and connect with classmates and instructors. Lee College administrators, students and faculty came together Tuesday, Oct. 24, with members of the Board of Regents and local health care community to cut the ribbon on the McNulty-Haddick Nursing Complex Expansion, which was funded through a $40 million bond overwhelmingly approved by voters in 2013. The project was completed on time and came in just under its original $6 million budget. At the expanded McNulty-Haddick Complex, there is a new lecture hall that seats 105 students; additional classrooms that can also be used for lab spaces and give faculty and students a variety of ways to interact and enhance instruction; and a new lounge, computer area and outside patio for students to connect with each other and review materials in close proximity to their classrooms and labs. The Clinical Lab and Simulation Center inside the complex – a replicated hospital setting where students practice their professional skills with high-fidelity mannequins that sweat, bleed and even give birth – has been expanded to add an area dedicated specifically to pediatric care. Through a donation to the Lee College Foundation and grant funding from the state’s Nursing Innovation Grant Program, the Clinical Lab and Simulation Center have also received new mannequins, supplies and equipment that will allow faculty to teach clinical application in each nursing course throughout the program curriculum. “This project focused on fulfilling the needs of nursing students, faculty and staff,” said Dr. Tracy Allen, director of the Nursing Program. A Lee College alumna herself with more than 20 years of experience in the field, she praised the previous nursing directors — many of whom attended the ribbon-cutting ceremony — who taught her how to be a professional and set the solid foundation upon which the program continues to build today. With a strong reputation for its challenging and relevant curriculum that prepares students for the realities of modern health care, the Lee College Nursing Program emphasizes practical experience. From their first semester, students are required to spend time in both traditional classes and the laboratory and hands-on clinical environment. They are also encouraged to become lifelong learners and continue their education beyond the associate degree. Since the expansion of the nursing complex was completed, students have particularly enjoyed using the lounge area to hold study groups and unwind together from the rigors of their coursework. 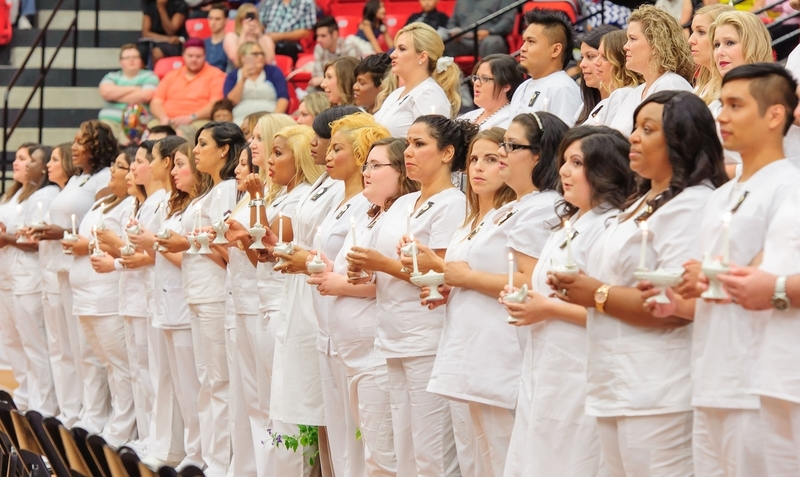 BAYTOWN, TX — More than 70 new Associate Degree Nursing (ADN) graduates were recognized for their achievements and welcomed into the nursing profession this month at the annual pinning ceremony, which marks the culmination of their Lee College journey and entry into the next phase of their careers. The Lee College nursing program emphasizes practical experience that prepares students for the realities of a clinical setting. From their first semester, students are required to spend time in both traditional classes and the laboratory and hands-on clinical environment. 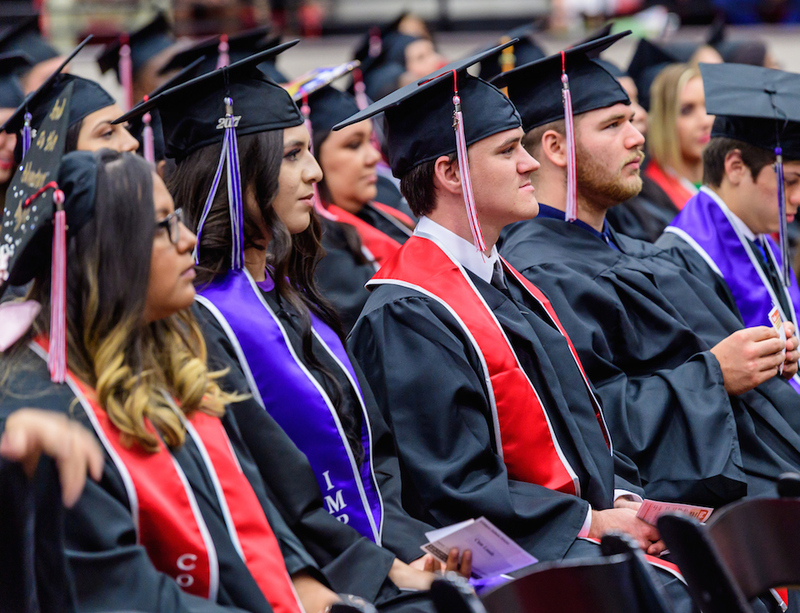 They are also encouraged to become lifelong learners and continue their education beyond the associate degree, following the example of several Nursing Division faculty members who are pursuing doctoral and master’s degrees in the field. At the pinning ceremony, faculty members called graduates to the stage one by one to affix the coveted metal pin to the chests of their starched, white uniforms. 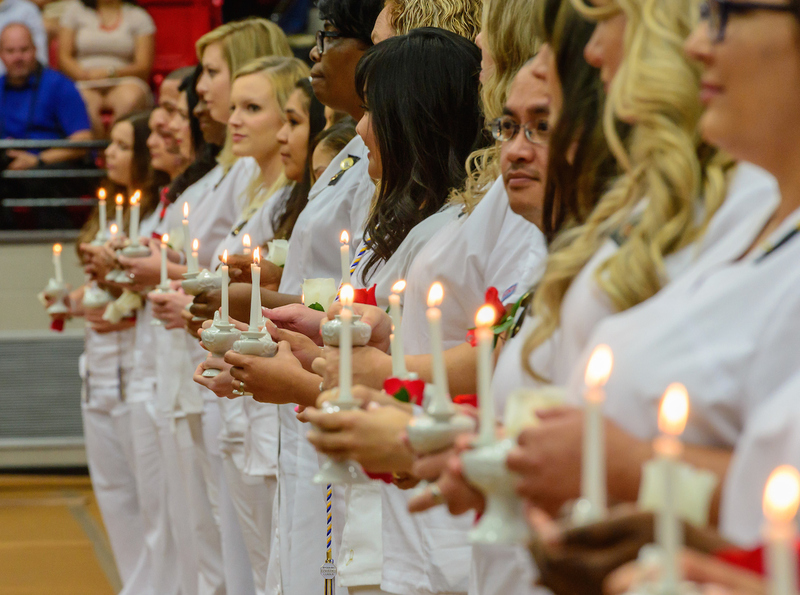 Graduates then lined up in two rows to receive the light of knowledge from their instructors, passing the live flame from one ceramic lamp to the next before reciting the Florence Nightingale Pledge taken by all professional nurses. In attached photo: The Lee College Associate Degree Nursing program graduates received pins and recognition Friday, May 13, 2016, to welcome them into their new profession. The annual pinning ceremony marks the culmination of their Lee College journey and entry into the next phase of their nursing careers.